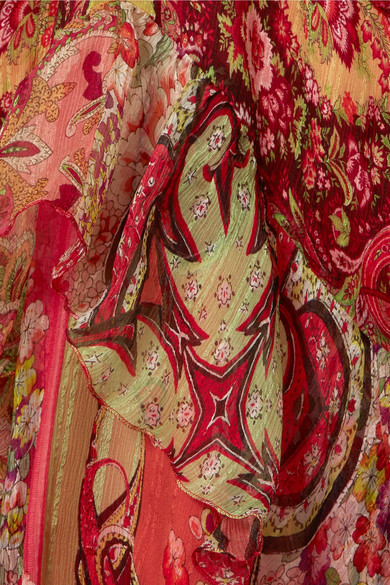 Veronica Etro's Spring '19 collection is filled with bohemian silhouettes inspired by the joyous mood of California's sun-drenched surf scene. 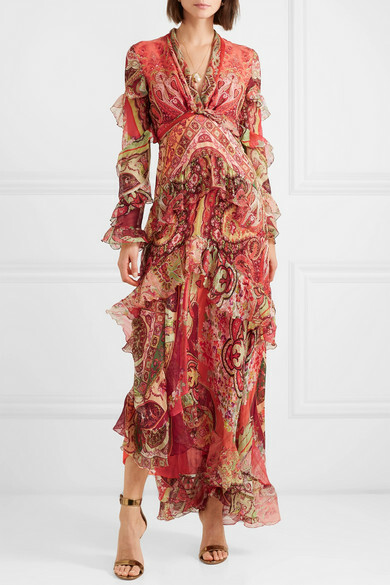 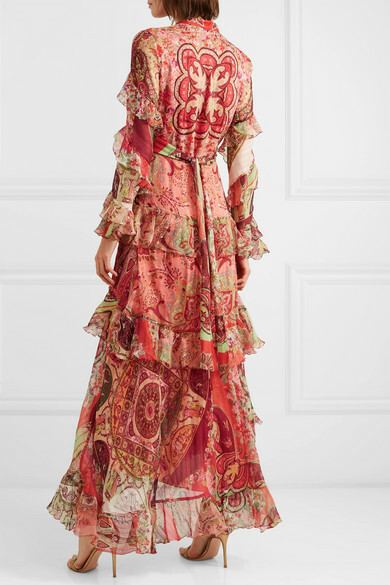 This dress is cut from lightweight silk-chiffon patterned with one of the brand's signature paisley prints and artfully decorated with voluminous ruffles that form tiers along the skirt and sleeves. 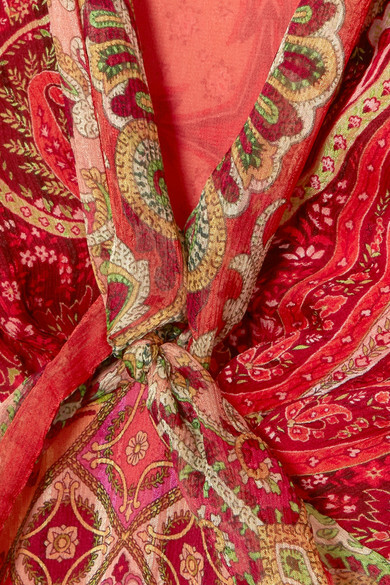 Use the back ties to define the slightly loose shape. 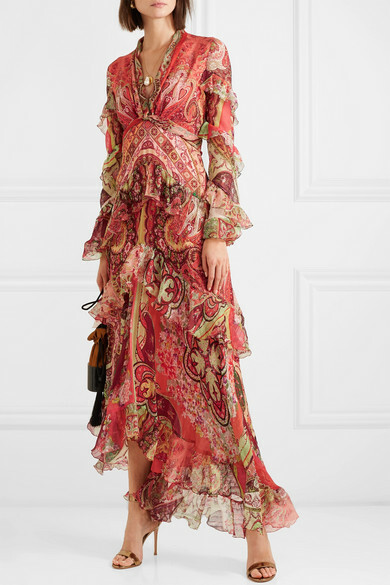 Shown here with: Hunting Season Pouch, Gianvito Rossi Sandals, Alighieri Necklace, Ellery Earrings.